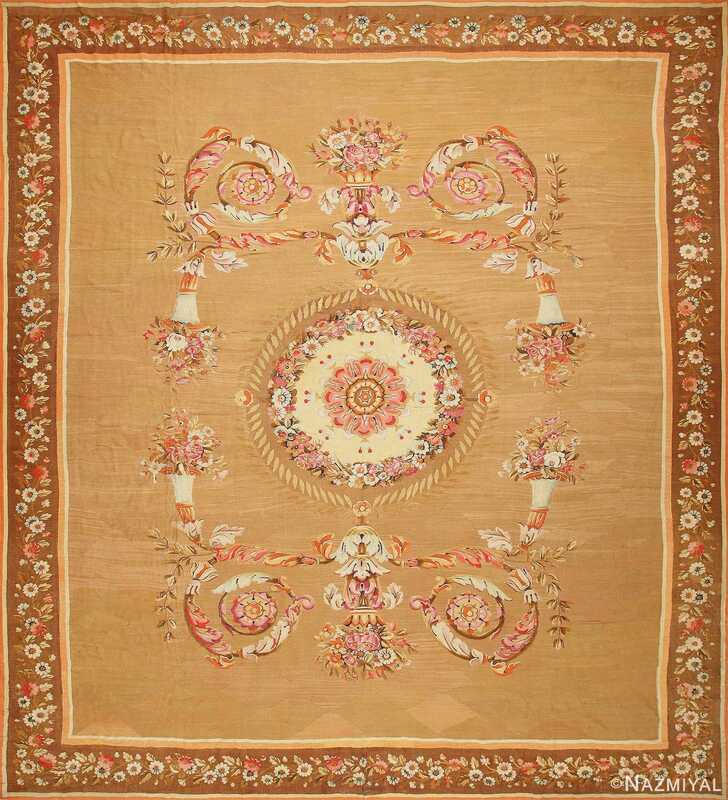 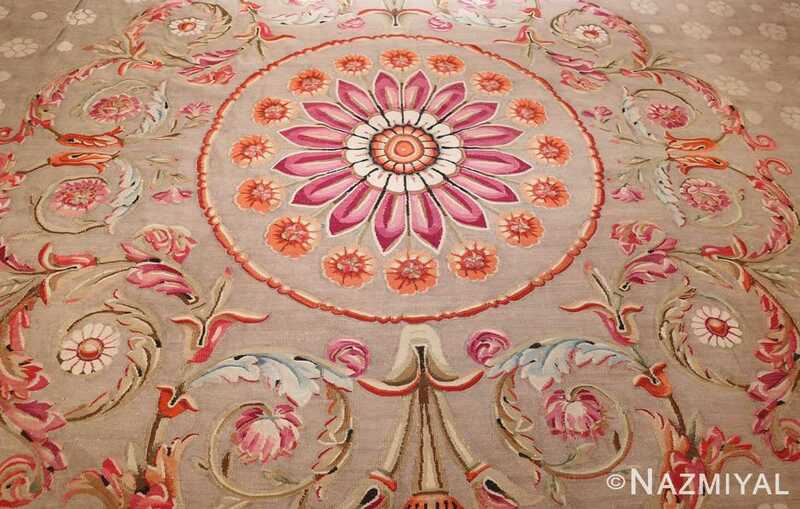 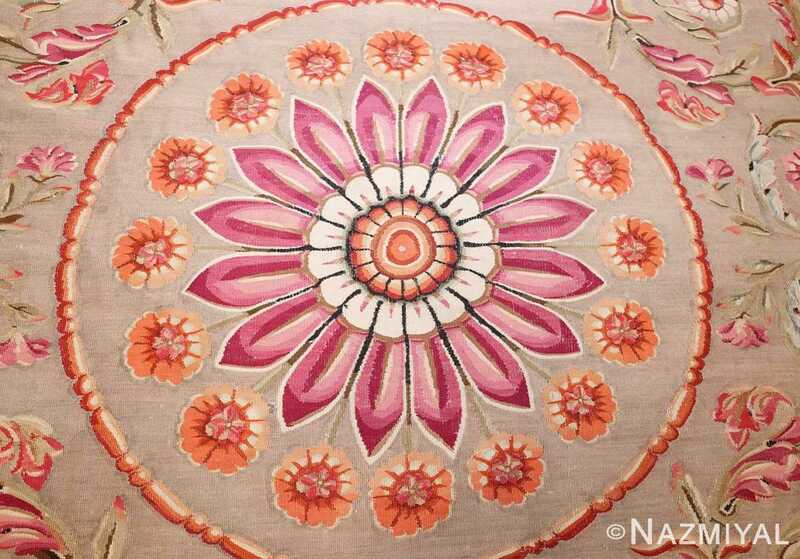 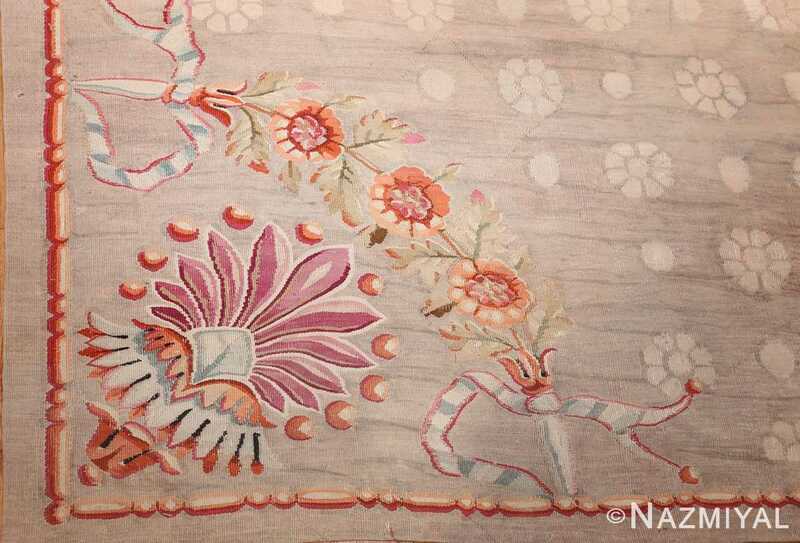 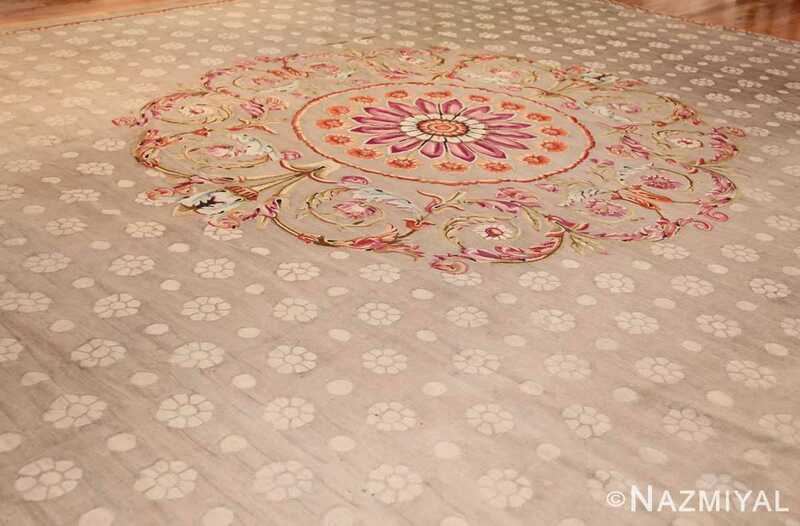 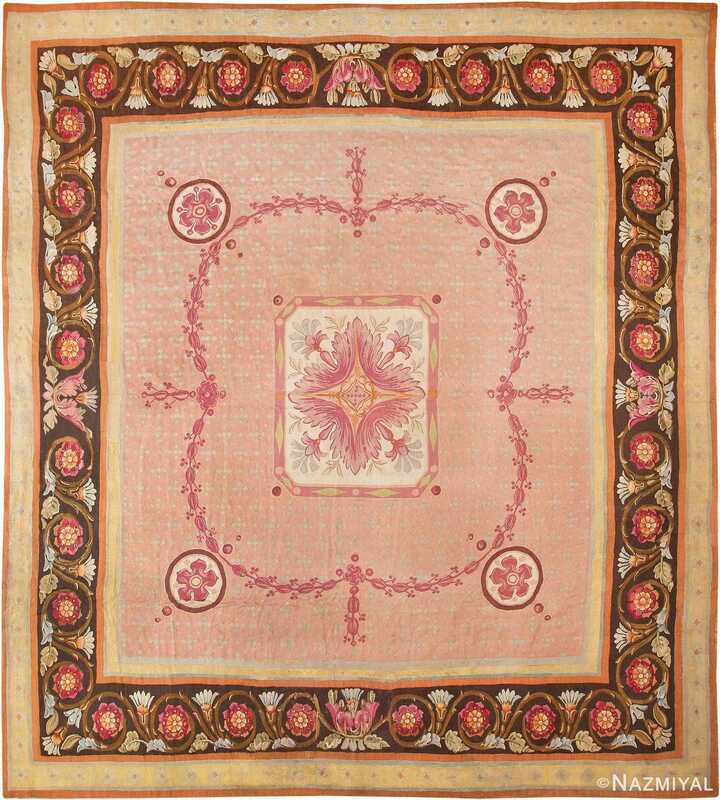 Antique Charles the X Aubusson Rug, Country of Origin: French, Circa Date: 1900 — This ornate French rug offers a large central circular floral medallion in lavender and white petals, framing an orange interior. 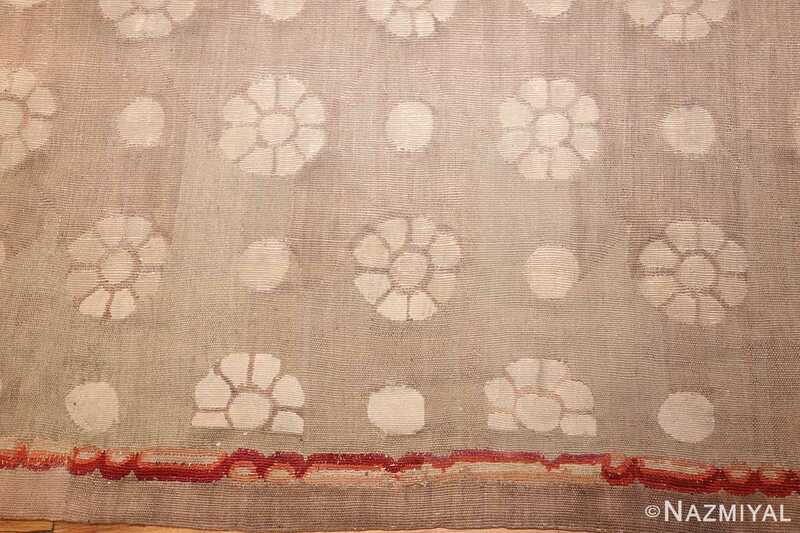 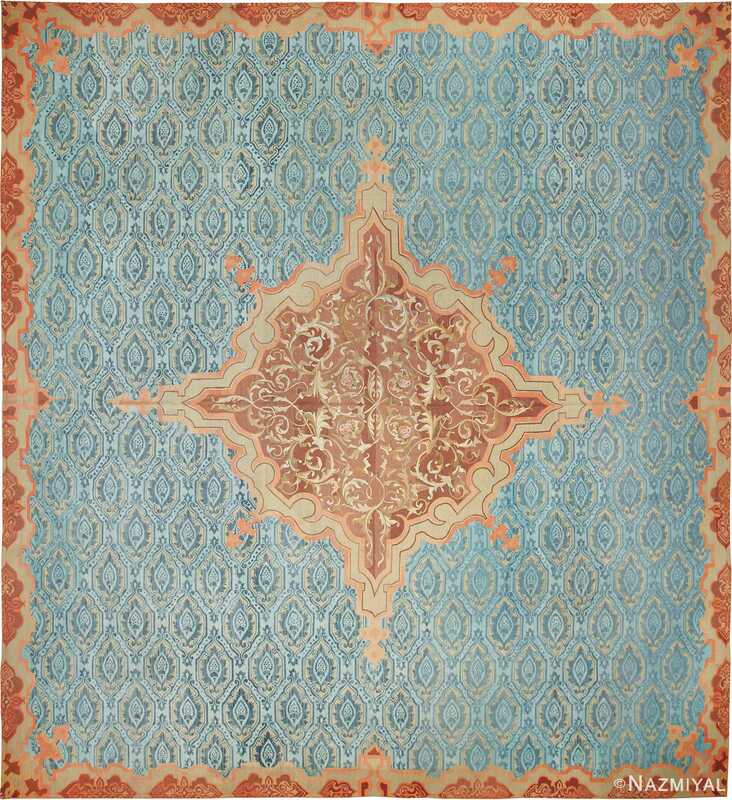 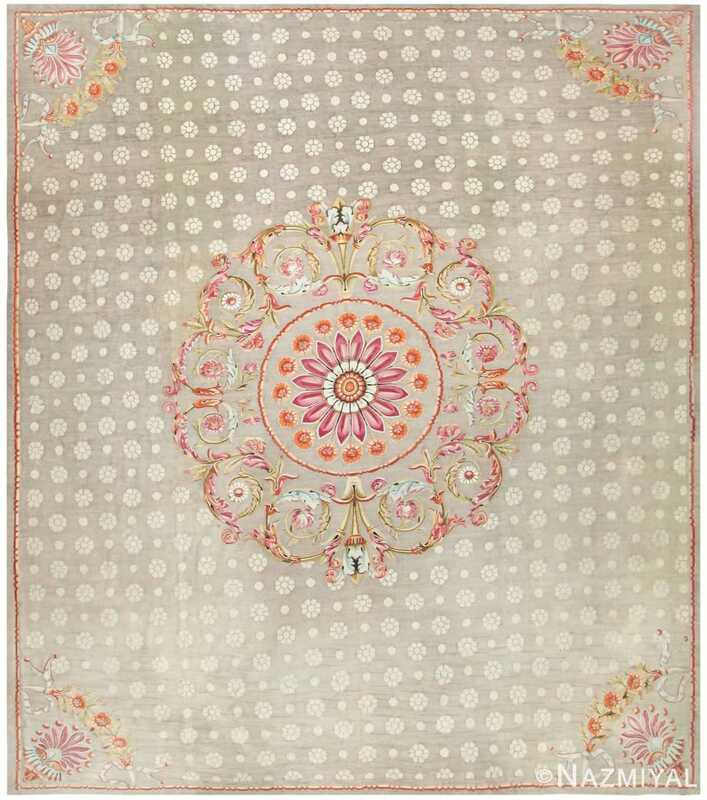 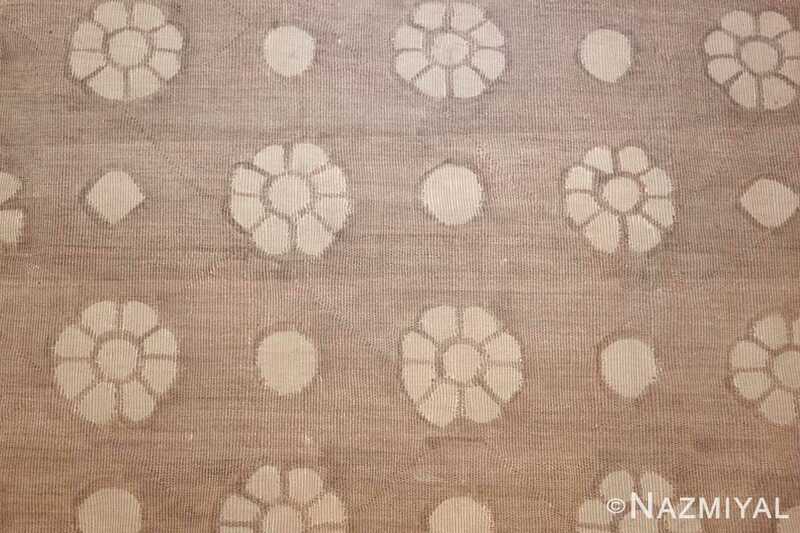 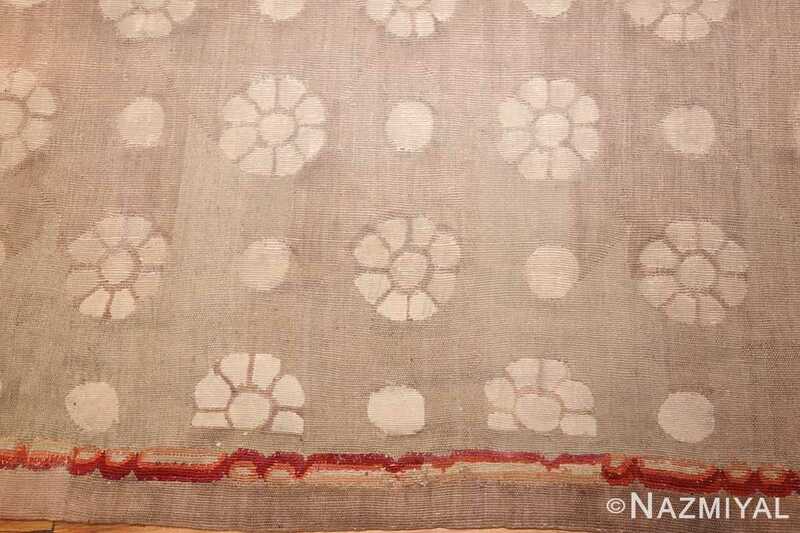 A repeating motif of alternating small white circles and flowers cover the light gray blue field of this breathtaking antique charles the X French Aubusson rug. 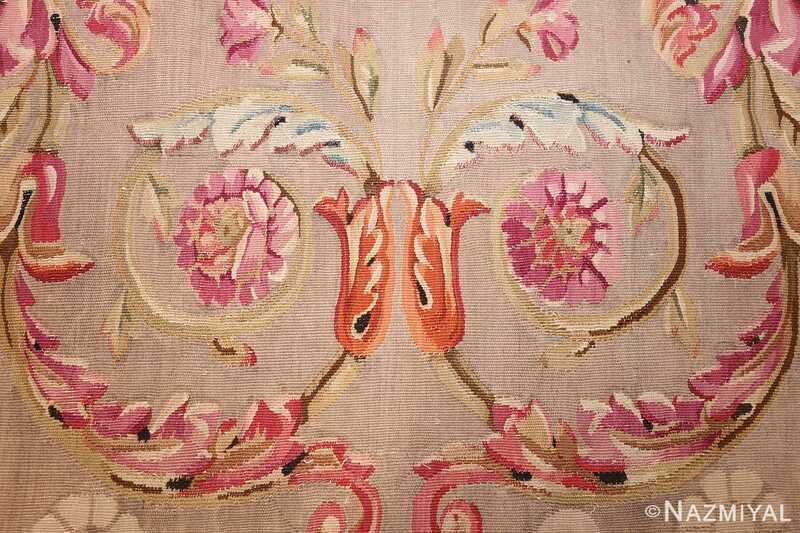 Distinctive, very detailed floral crests function as spandrels in each corner, braced against a narrow pink border (which also surrounds the central large flower). 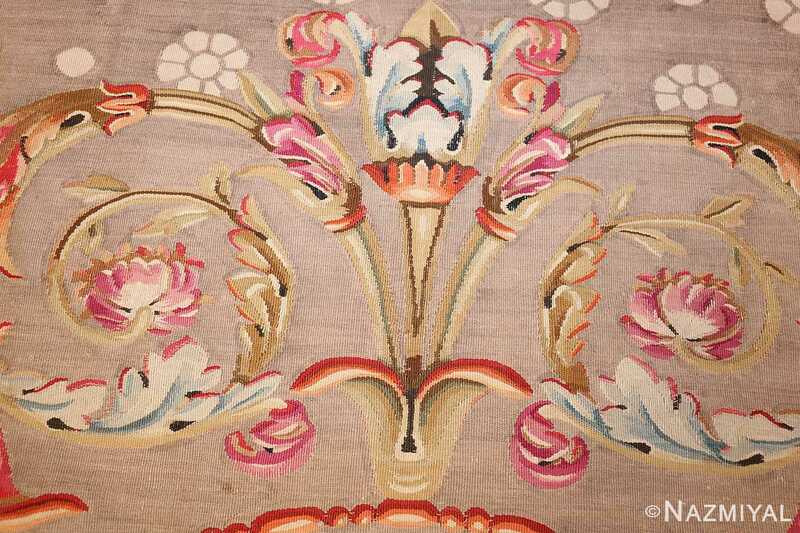 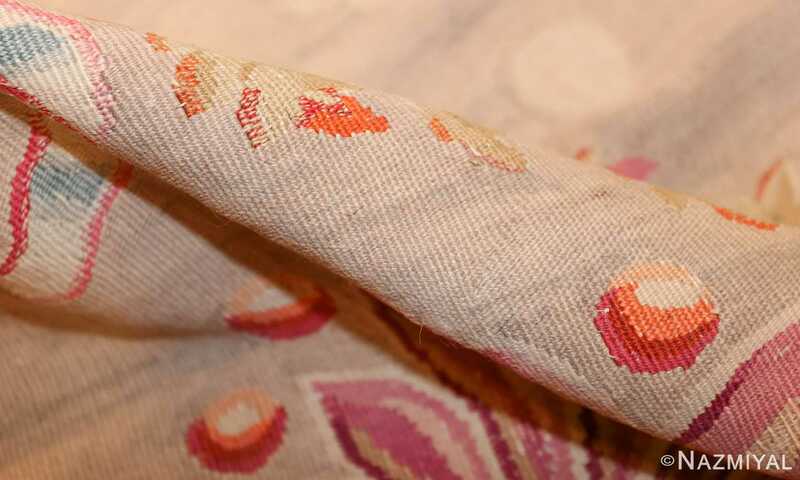 The town of Aubusson in Central France during the Medieval Period became known for the work of artisans who wove fine carpets and tapestries. Many of the furnishings produced there displayed exceptional detail.